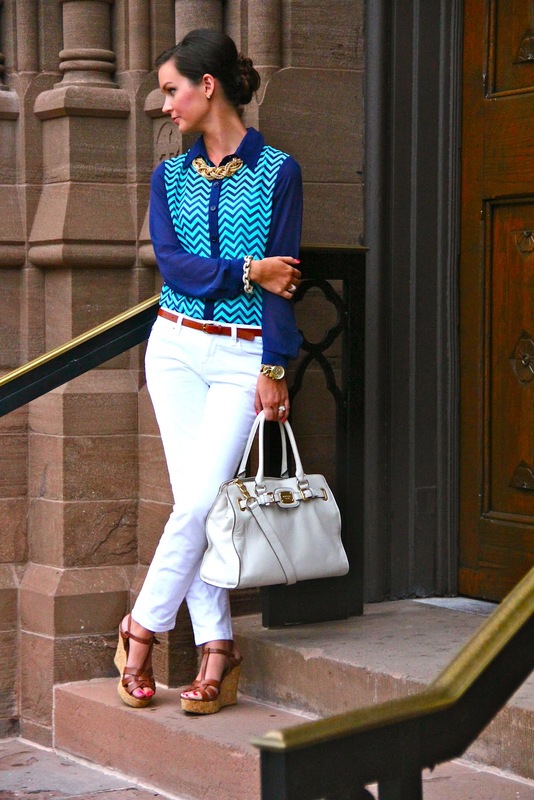 Top: Forever 21, Pants: Ann Taylor Loft, Belt: J. Crew, Shoes: Steve Madden (similar), Handbag: Michael Kors, Necklace: J. Crew, Bracelet: J. Crew, Rings: ASOS, Watch: Michael Kors, Earrings: Nadri, Nails: Voltage Pink, Lips: Violet by Laura Mercier. We had such an amazing time in Charleston--I can't wait to show you all of the photos! Hope you have a lovely Monday! so fabulous! loving your top! Oh this is SO fabulous! !I love the repetition of the pattern of the ring and top. That top makes your eyes really pop! Hi from Mingle Monday! I absolutely love those rings! Obsessed!! Thanks girl! I would love for you to join my blog! :) xo! What a perfect outfit! Happy Monday! Thank you!! Happy Monday! If you're not already a follower, I would love for you to follow! :)xo. Such a gorgeous outfit!! You're the style queen! Thanks girl, love your blog! Thanks for doing Mingle Monday! xo. Thanks girl! Just joined your fab blog! :) xo. Hi from Mingle Monday! Love your blog and that outfit! I want those rings!! Hi, thanks for stopping by! xo. I went to College of Charleston my freshman year and absolutely loved the city! I decided that when I graduate I definitely am moving there, but your outfit is absolutely fabulous! 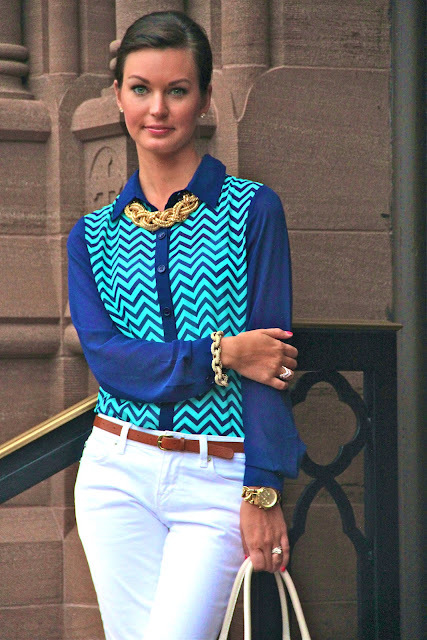 So obsessed with chevron! Love Charleston! I want to move there too one day! xo! 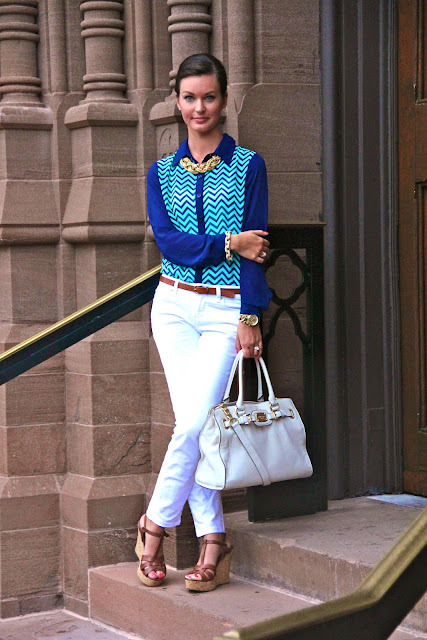 I am dying over the blouse and necklace! You are beautiful!! Could you get any prettier? Jeesh : ) You are so fashionable!